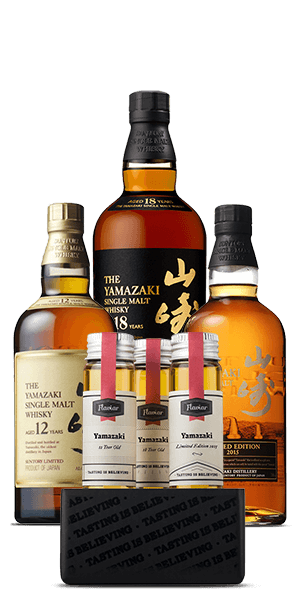 The Yamazaki 12 Year Old is a pure malt Whisky, which uses 100% malt Whiskies of at least 12 years old. It’s aged in a mixture of American, Spanish and Japanese oak barrels. It’s fermented longer than usual in wooden washbacks, resulting in a creamier character. The Yamazaki 18 Year Old is aged in a mixture of ex-Bourbon, ex-Sherry and Japanese Mizunara oak. It has won numerous accolades and awards, including five consecutive Double Gold awards at the San Francisco Spirits Competition. The Yamazaki Limited Edition 2015 is a NAS single malt expression that combines assembled work of old and young Whiskies in barrels of different origins. A vatting of malt matured in European Sherry and Port casks for up to two decades and married with a young malt matured in Bourbon cask. *This is a collector's item, we will not be able to entertain any refunds or exchanges. What does Vault Selection XV. Yamazaki Finest taste like? The Flavor Spiral™ shows the most common flavors that you'll taste in Vault Selection XV. Yamazaki Finest and gives you a chance to have a taste of it before actually tasting it.